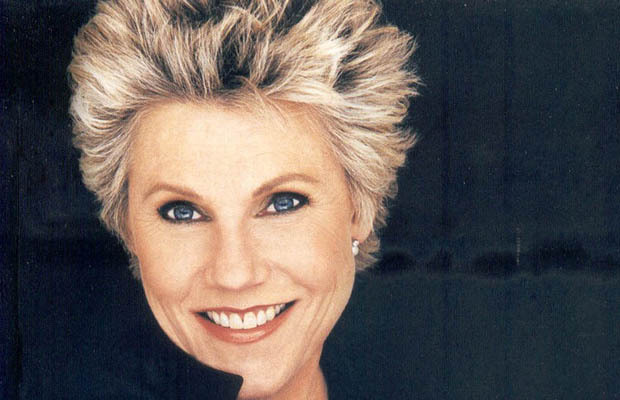 With melodious and warm voice, Anne Murray is dwelling in the hearts of her fans since the day she entered in the music industry. Within a short span, Murray climbed up the ladder of success at its highest point. Her voice is the solace of every heart and that is why, in a career of 40 years, Murray’s songs are seldom off the chart. On her being an exceptional singer, Murray has said, ‘I often think that perhaps the reason I became a successful singer was that, as a kid, I could never do as well as my brothers. I wanted to do something better than they did.’ Murray, indeed, turned out to be the greatest singer ever. From a very young age, Anne Murray used to sing songs to herself. She had a magical voice and anyone, who listened to her song, was enchanted by her voice. At the age of fifteen, Murray began taking vocal lessons to polish her skills, she had already learnt, for six years, how to play piano. In 1962, at her high school graduation, Murray sang Ave Maria. The audience was so enthralled by the captivating voice of Murray. In fact, some of Murray’s audience was reduced to tears. It was then that Murray and her parents realized that Marry did possess charming voice. After her high school graduation, Murray studied Physical Education in University of New Brunswick. Done with her graduation, Murray taught physical education for one year at a high school in Summerside, Prince Edward Island. After her teaching stint, Murray was offered a spot on a television show, Let’s Go. She also appeared on Singalong Jubilee –in the preceding year she had given a fruitless audition for the show as well. What About Me, Murray’s debut album was released in the year 1969 and was a huge success. Her single, Snowbird, remained at the top of the charts for a long span. It was played on radios for a very long time. This success lead for Murray to be the recipient of the American gold award leaving Murray to be first solo female singer, in history, to receive this award. Murray was then in high demand for stage appearances and television. Lastly, she became a regular in a hit TV series, The Glen Campbell Goodtime Hours. For Murray, there was no turning back after the huge success. To this day, Murray has released 32 studio albums, some of them are, This Way is My Way, Talk it Over in the Morning, From Springhill to the World, All of Me, Where Do You Go When You Dream, etc. Murray’s exceptional music career has rewarded her with acclaimed awards as well. She is proud owner of 4 Grammys, a record 24 JUNO Awards, three American Music Awards, three Country Music Association Awards, and three Canadian Country Music Association Awards. Murray has also named as the one who has paved the way for the popular singers such as, K.D. Lang, Shania Twain, and Celine Dion. As of 2012, Murray has sold over 52 million copies of her albums, worldwide. Apart from singing, Murray is a keen golfer as well. In 2007, in Golf For Women magazine, she was named the best female celebrity golfer. Murray has also been involved in the philanthropic work. She is also a proud owner of Anne Murray Centre which is a registered Canadian charity. Murray, now being retired form singing, is more active on fund raising campaigns. She has been a supporter of environmentalist, David Suzuki too. Murray has also published her autobiography, All of Me, being a private person by nature, Murray has tried to be as honest and open to her fans as much she can. Murray has two children, William and Dawn who have also released duet albums with their mother. On a note to her love life, Anne Murray has been divorced from her husband Bill Langstroth, in 1998. Langstroth died in 2013.